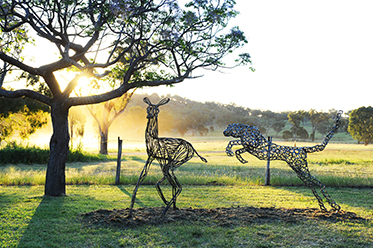 The varied and diverse arts world will converge in regional NSW this October at ARTLANDS DUBBO 2016. Think art, education, music, theatre, circus and so much more under the backdrop of big open skies and fresh air. The four-day conference and festival program highlights was launched earlier today at the Sydney Opera House under the tagline, “Part Conference, Part Festival, All Arts.” It was announced that early bird tickets are now on sale. The biennial event will feature national and international keynote speakers and panels, and facilitate forums, workshops, and discussions surrounding three key themes within the arts sector: Regeneration, Connectedness and Emergence. Each theme will explore contemporary issues, challenges and opportunities through research, exploration, debate and collaboration. Key speakers include Associate Professor Mark McMillan from Melbourne Law School, Director of Arts for Health at Manchester Metropolitan University Clive Parkinson, and Chief Executive of New Arts Exchange in Nottingham Skinder Hundal. Featuring alongside the Conference, the ARTLANDS 2016 Festival will see a line up of works rarely seen together in regional NSW. Curated by festival director, Greg Pritchard, the program will include musicians Heath Cullen, Mikelangelo and the Black Sea Gentlemen, Dave Mason and Brendan Gallagher, and Radical Son. Djon Mundine will curate a new exhibition of work by regional NSW Aboriginal artists in Old Land New Marks, and regional physical theatre companies, fLing and Lingua Franca will perform their latest works. 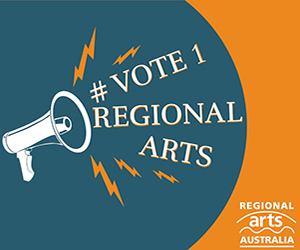 Presented by Regional Arts Australia and Regional Arts NSW and supported by Dubbo City Council, the NSW and Commonwealth Governments, ARTLANDS DUBBO 2016 is the must-attend event for artists and arts workers living and working in regional Australia. Located 600kms west of Sydney, the regional city of Dubbo and its 40,000-plus residents are preparing to host 1,000 conference delegates and festival-goers, showcasing the city’s taste and enthusiasm for the arts in all its forms. ARTLANDS DUBBO runs 27 – 30 October 2016. Program highlights and tickets are now available. For more information, visit: www.artlands.com.au for details.